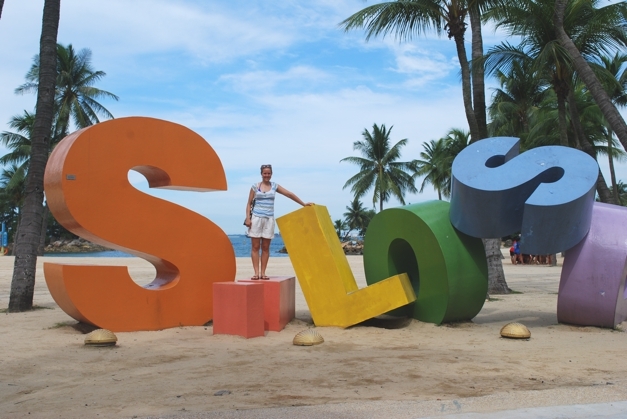 Sentosa - "Island of the dead" to "tranquility and peace"
Only 10 minutes from the mainland by train, car or cable car, Sentosa is easily accessible to pop over for a day, weekend or even a spot of lunch. 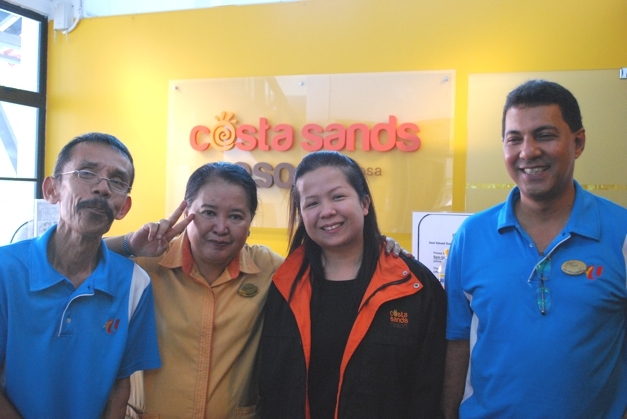 My home in Asia for two days, I stayed at the Costa Sands Resort on Siloso beach and felt truly welcomed by the wonderful staff there. They went out of their way to ensure I had a great time and felt comfortable. I had my own beach hut with 2 bunk beds in it, a stone’s throw from the golden beaches and warm, calm sea. 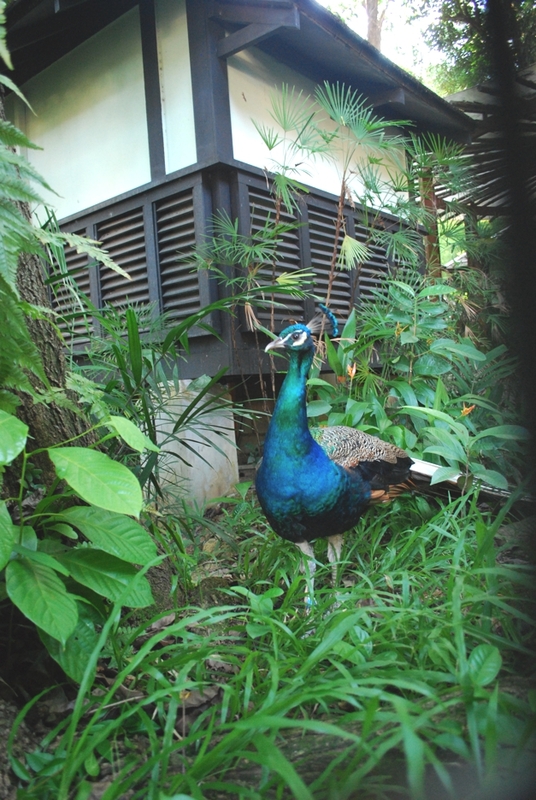 There was even a peacock roaming around the beach huts to keep me company. Sentosa which means "peace and tranquility" is a small island, steeped in history and has seen stark contrasts in its time. Before 1972, it was named "Palau Belakang Mati", meaning "island of the dead". During the 2nd World War this island was where the Japanese took thousands of prisoners of war to brutally slaughter them. You can still find some original bunkers on the island, the last reminder of what the horrors that took place there. From the dark years of the 2nd World War, it has been given a new lease on life and is now the biggest tourist hotspot in Singapore. 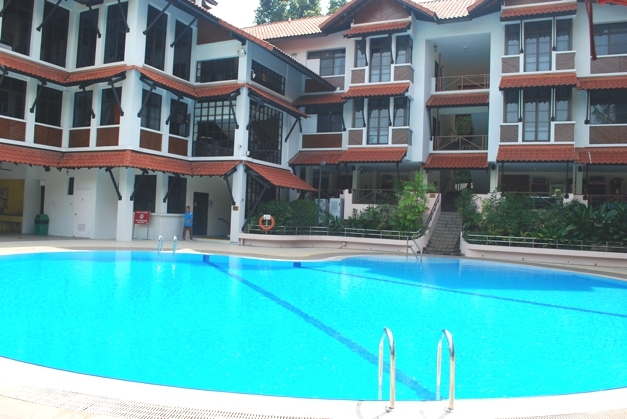 It boasts water parks, universal studios, two aquariums and many more tourist attractions. The aim was to remove all evidence of the dark years the island experienced and replace it with fun, happiness and a feeling of Westernisation. Lovely Josephine who runs HI (Hostelling international who sponsor my trip) in Asia and also organised my itinerary for me was my buddy for the day. We visited as many of the attractions as we could cram into the day. Zip Wire, what fun – can’t beat an exhilarating zip wire ride to finish a great day!